We now know that good quality day care can help provide the stepping stones for academic and social success in the future. In fact, the years from birth to age 5 are viewed as a critical period for developing the foundations of thinking, behaving, and emotional well-being. It is during these critical years that children develop their linguistic, cognitive, social and emotional abilities. Studies on the consistent benefit of early childhood daycare have shown that children who have gone to daycare tend to learn better social interaction skills and emotional maturity than those who did not. Parents who stay at home can take their children to interact with adults and other children of similar ages. But what about the parents who work? Luckily, this social phenomenon occurs naturally at day care, where children can socialize with care takers, and other children around them. They can learn important skills from socializing, like problem solving, social norms and acceptable behaviors. A good daycare, like Parkland Children’s Academy, also takes special effort in fostering positive interactions between children, insuring a holistically loving and caring environment. As humans, we are creatures of habit, and tend thrive best on a daily routine. Young children are even more affected by routine behavior, and function best on daily schedules. These schedules for example include time set for eating, sleeping, using the potty and playing. Schedules provide a sense of comfort and order, because children learn to know what to expect during the day. Children who do not have structure tend to have more erratic behavior, upset easily and often become unruly if they experience an unstructured day. Daycare staff know what to do when it comes to crying babies, misbehavior and how to foster encouraging and caring environments. Most daycare staff are aware of the important infant developmental stages. At Parkland Children’s Academy, we hire staff that have a passion for children – they are able to determine any areas of development that are lacking or needing early intervention. Our staff have knowledge from years of early childhood experience on how to care of children. Good quality daycare centers are likely to have top-notch facilities and well-planned activities that are suitable for every age. This insures that while they are being cared for, they are growing and learning in the best possible way. 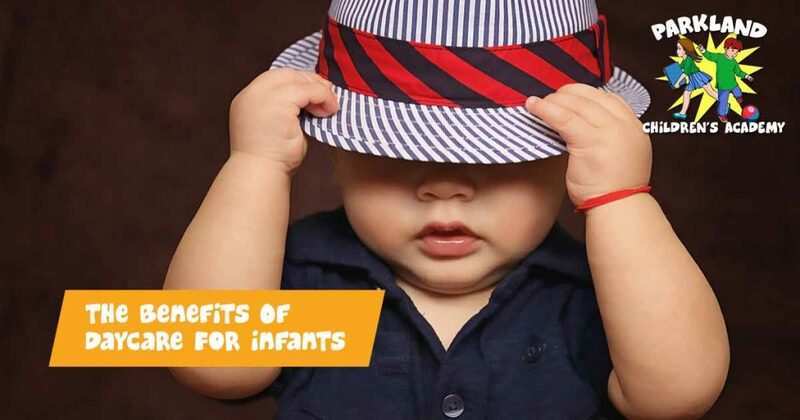 There you have it – five benefits of daycare! 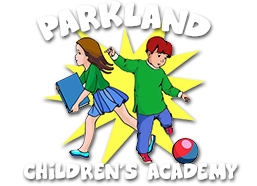 At Parkland Children’s Academy our goal is to provide families with a daycare and preschool that is dedicated to laying solid foundations through education, safety, health, and development in a fun and friendly environment. Come and visit our center and see what we are all about! We are located in Parkland, Broward County.